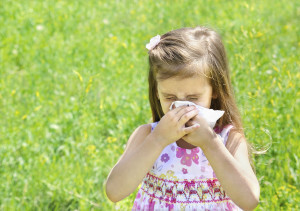 Seasonal allergy symptoms can be treated with several different methods which include over the counter medication, prescribed medication by a physician or allergist and natural and herb methods. Some individuals prefer the natural (orthomolecular) approach for treating allergy symptoms because this form of treatment program focuses on using nutritional supplements to strengthen the body’s immune system. This method uses higher amounts of various nutrients to support the body’s function to alter abnormal compositions and correct functional or metabolic nutritional imbalances. Vitamin C with quercitin is the most powerful natural allergy remedy available. One advantage of using vitamins, minerals and herb to help relieve allergy symptoms is that the body’s immune symptom will not weaken in the long term. 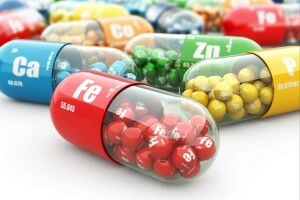 Nutritional supplements work in different ways. Some may strengthen the immune system so the body can fend off attack by allergens. Others work as natural antihistamines and decongestants to keep nasal passages clear. Some herbs and dietary supplements relieve inflammation that often accompanies allergies. A simple and natural method of relieving nasal congestion is a saline solution which is basically salt water made from table salt. The saline mixture washes out pollen and reduces thin mucous. Goldenseal can help in this process. It has astringent and local antibacterial properties. One tablespoon of butterbur four times a day is as effective as an antihistamine drug in controlling hay fever symptoms, without the traditional symptom of drowsiness. Butterbur has also been proven to be effective with symptoms of grass allergies. Grape seed extract and a flayonoid compound known as quercetin, can be very helpful in calming seasonal allergy symptoms. Licorice root is one of the most popular herbal remedies. It supports the production of certain hormones by the adrenal glands. It also reduces inflammation and increases the level of interferon, which fights viruses. Sarsaparilla root promotes healthy circulation, benefits the glandular system, and stimulates natural hormone production. Bladderwrack promotes glandular health, regulates metabolism, and treats adrenal gland problems. It is an immune system booster. Irish moss (seaweed, kelp) is an anti-viral and immune system booster. Ginger root is an anti-inflammatory and pain relieving properties. It stimulates the immune system. Astragalus has the ability to increase metabolic activity and strengthen the immune system. It helps build a natural resistance to colds and flu and also increases the body’s production of interferon. Capsicum is high in vitamin C. It helps the respiratory system fight infection and increases energy. It is used as an expectorant and high in quercitin, a natural antihistamine, and helps those with allergies and respiratory problems. Rose hips extract is used for adrenal gland problems, as well as the treatment of colds, flu, and fever. It is useful for preventing and healing infections. These are only a few of the many herbs that can be effective in helping relieve seasonal allergies. Other forms of focusing on fighting the seasonal allergies are being aware of certain foods that may add to allergic reactions. Hot, spicy foods can offer allergy relief by opening nasal passages. Spices recommended to help thin mucous secretion are cayenne pepper, hot ginger and fenugreek, as well as traditional onions and garlic. Cutting out certain ingredients from your daily diet can help tremendously with seasonal allergies. For example, if an individual suffers from ragweed or other weed pollen allergies, the foods to avoid are melon, banana, cucumber, sunflower seeds, chamomile and any herbal supplemental containing Echinacea. These foods can make allergy symptoms worse.